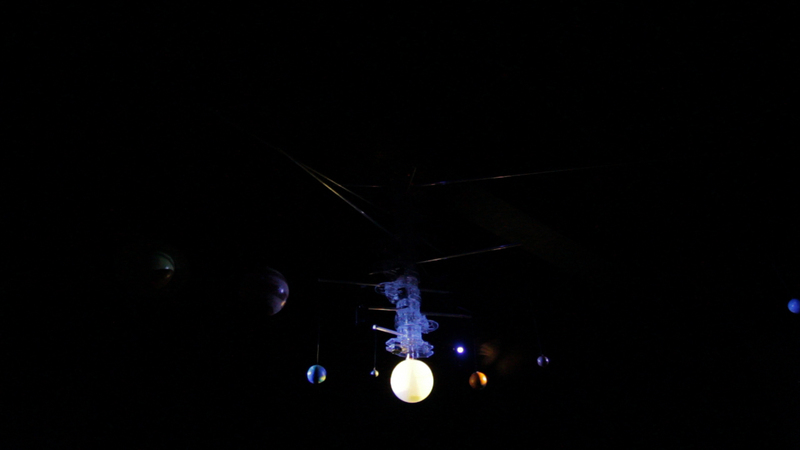 The Sonic Cosmos is an audio / visual installation modelled on our solar system. The central piece takes the form of a traditional orrery, a mechanical device used to illustrate the relative positions and motions of the planets in orbit. 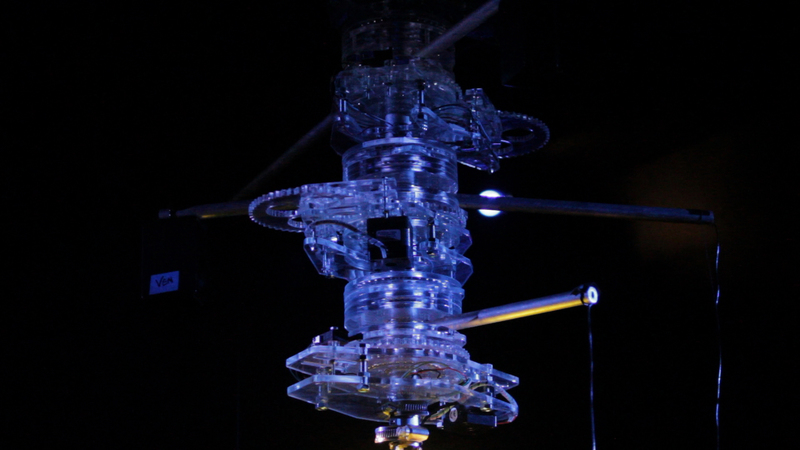 The standard model of an orrery has been adapted to act as a self playing musical instrument which generates its own composition. Using scientific information as a basis for composition the piece merges quantitative observations with creative interpretation. As The Sonic Cosmos continues to run, the artistic involvement is merely peripheral and the work takes on its own compositional journey. As with ‘The Music of the Spheres’, The Sonic Cosmos demonstrates the notion of music discovery rather than creation. With support from Arts Council England, Northumbria University, Culture Lab and Cycling ’74.